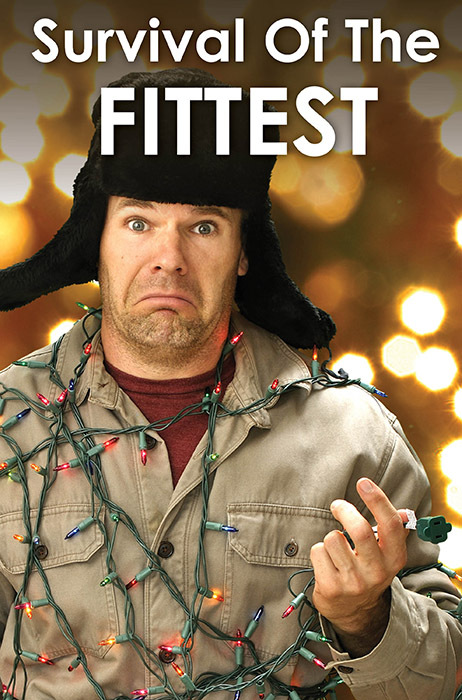 When it comes to Christmas lighting and decorating, nothing kills a Christmas masterpiece faster than a GFCI tripping. All it takes is a little moisture sneaking into the Christmas lighting or electrical system and then BAM, in a millisecond, everything goes dark. The GFCI has decided that the mixture of electricity and moisture is unsafe and that the best thing to do is to shut down all your hard work. You’re left in the dark with nothing to do but find the pesky little reset buttons and hope to get your lights and décor turned back on again. When it comes to Christmas lighting and decorating, GFCIs cause more headaches than anything else you’ll deal with. Especially in areas that are a little warmer and receive rain instead of snow. Before going any further, let me make clear that I’m in no way anti-GFCI. They are life saving devices and countless lives have been saved by having them required for outdoor electrical outlets. In no way do I want to go back to the days before GFCIs when people were frequently seriously hurt or killed from the lethal combination of water and electricity. 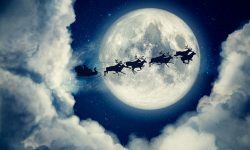 What I’m focusing on in this article are the headaches that GFCIs cause anyone that is installing Christmas lights and decorations, either professionally or at their own home or business. And I’ll be offering some ways to help to minimize the issues related to moisture and GFCIs. I’m also in no way recommending anything that would go against the standards established by the National Electric Code (NEC). Unfortunately, when it comes to Christmas lights and decorations and GFCIs, generally all it takes to trip a circuit is for a little moisture to get into the outlet, cord or lights. If this happens and the power is on, the circuit will trip, causing the lights and décor to go out. All that hard work and beautiful lights go completely dark. So what can you do? Is it possible to avoid GFCI’s from tripping? 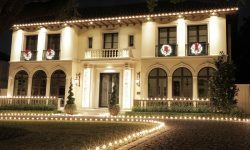 Unfortunately, the only way to completely avoid GFCI issues to not to have the lights plugged into them, but it is against the National Electrical Code to use non GFCI outlets for outside Christmas lighting. And beyond just the code violation, it creates a serious safety risk. But fortunately, there are a number of things that can be done to help minimize GFCI nuisance tripping. By taking a few precautions and following the techniques outlined in this article, you can reduce tripping by at least 75%. Let’s take a look at some of the ways that our professional installation teams reduce GFCI issues. You’ll also find that older and weathered outlets tend to trip easier. The corrosion that builds up inside the outlet makes them more prone to tripping. This is especially true if an outdoor outlet does not have a proper bubble cover and has been exposed to weather for a number of years. If outlets appear to be old and weathered, having them replaced can help reduce tripping. Years ago, we were working with a large city in Florida and they decided they were going to stop GFCIs from tripping by placing plastic bags over the outlets and electrical connections. We immediately warned them not to do this and it would only make the situation worse. We also warned them that it can cause a fire hazard as well. But the city’s electrical team made it clear that they know what they’re doing, and they had no intention of listening to our warnings. They went ahead and used the plastic bags. The GFCI issue only got worse and within a few days, they actually had an outlet and tree catch fire due to the bags. First and foremost, you need to keep in mind that moisture gets into everything. All a bag does is prevent airflow to the outlet. Moisture, in the form of condensation, still builds up. But without significant airflow, it will not dry out. The GFCI will trip as this moisture builds, but there is still power going to the outlet, just not through the outlet. The moisture continues to build and can lead to the wiring in the electrical box to short out, which in turn can start a fire. It is rare for this to happen and I’ve only encountered it twice, but nevertheless, it’s still a hazard that needs to be avoided. Over the years we’ve found that dielectric grease, or a deep penetrating moisture displacer can further reduce the amount of nuisance GFCI tripping. 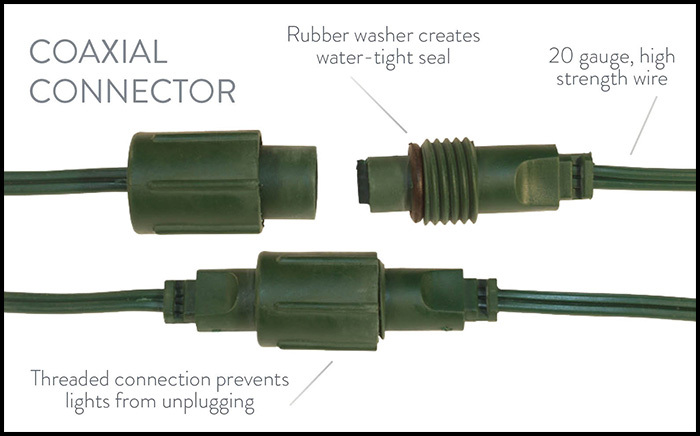 When used on set to set connections, extension cord connections and the outlets themselves, the spray creates a barrier the helps prevent moisture from immediately tripping the GFCI. This will not impede the function of the GFCI and it will still operate as designed. But it does help reduce the amount of nuisance tripping that we encounter. When applying the displacer spray, it only takes a small squirt to coat the electrical connections. Too much of the spray will make a mess and leave you with greasy Christmas lights and decorations. 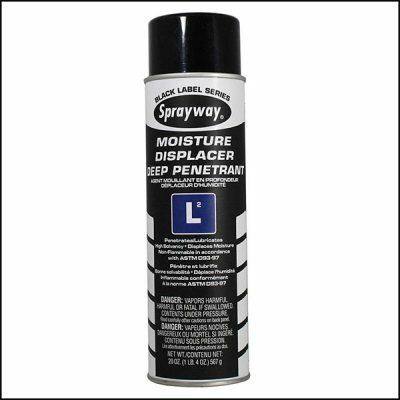 The displacer spray we used is Sprayaway Deep Penetrant Moisture Displacer. Avoid the low-cost sprays that tend to be thin and wash away easily. WD-40 was the first water displacer spray to hit the market back in the 1950s. But now days there are sprays that do a better job and will hold up longer to outdoor elements. Through a lot of testing, we have found that the heavier the electrical load, the more prone to tripping a GFCI is. To test this, we selected multiple jobsites and loaded up individual outlets with 15 amps and measured their tendency to trip under various conditions. We then took this same load and divided it between two outlets. 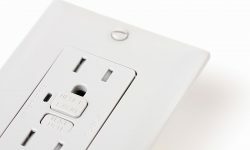 In nearly every case, we found that the two outlets with lighter loads were less prone to tripping than a heavy load on a single outlet or single GFCI circuit. We’ve had a number of electricians over the years argue with us regarding the increased tendency of GFCI outlets and circuits to trip at higher loads. But after 21 years selling, installing and offering consulting services in this business, I can tell you, without a doubt, that the total load plays a role in how easy a GFCI will trip. When it comes to GFCI’s, avoid keeping lights and décor on 24/7. The longer the lights are on, the greater the chance they’ll trip. If the outlet or circuit is not on a photocell or standard timer, then one needs to be installed. If it’s not possible to have this done as a permanent photocell or timer, then use a temporary, plug in photocell. But avoid the plug in, temporary traditional timers. Unless you’re using a timer with a battery backup, you’ll not only be battling GFCI issues, but also dealing with timers that are not set correctly. 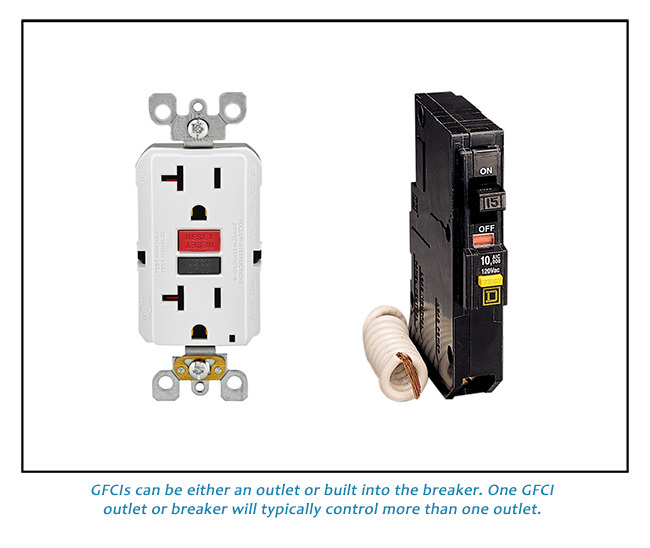 Every time the GFCI trips, the timer will also need to be reset due to the loss of power. Staples either penetrating too deep and cutting into the cord or the staple not being lined up properly and being shot through the wire are both very common GFCI trigger points. Use a staple gun with a good guide and make sure it’s not overpowering the staple, in turn driving it too far into the tree or wood. Reducing the number of staples per light set can also help with GFCI issues. The quantity of staples will depend on the type of tree. Trees with rough trunks may not require any staples, smoother bark trees will require more. If you’re dealing with palm trees, you’ll find that Royal Palms need a good number of staples, but Washingtonians don’t need any. So, adjust your staples based on the trunk texture of the tree. Use enough to hold the lights, but the fewer you can use, the less potential GFCI problems associated with staples you’ll encounter. Most people have never heard of weep holes on Christmas light sockets, but they are vitally important in order to reduce GFCI issues. In the old days we did everything we could to keep moisture out of C7 and C9 sockets. We’d even use rubber washers to help create a seal between the bulb and the socket. You may even come across some of my early videos where I mistakenly made this recommendation. But, just like I mentioned previously about placing plastic bags over outlets, no matter what you do, moisture tends to find its way into the sockets. And by using washers, it prevents airflow, but moisture and condensation still enter into the socket. Without airflow, the socket stays damp, leading to an increase in tripping. So these days we go the opposite direction. Instead of trying to seal up the socket, we want to make sure moisture and air can flow through it. 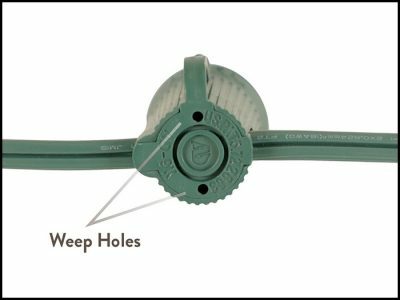 We’ve moved away from the rubber washers, and most quality sellers are now offering C7 and C9 sockets with two weep holes in the bottom. This allows water to flow through the socket as well as allowing air to pass through, keeping the socket drier than what was previously possible. This does lead us to a question we frequently get asked, “Why do we still sell the rubber washers for C7 and C9 sockets if they are problematic?” While we don’t recommend washers for standard perimeter lighting installations, there is one situation that you do benefit from using washers.....ocean front installations. If you’re installing light line within a block or two of salt water, the washers can help reduce the amount of corrosion inside the socket from salt. For anyone that has done installations in this type of environment, you know how damaging salt can be to C7 and C9 light line. By using the washer, you are dealing with some condensation issues in the socket, but the amount of corrosion you get in the socket from the salt water will be significantly less. The corrosion can create even bigger GFCI issues, so the washer can be helpful in salt water environments. It would also be a good idea to put a drop of moisture displacer in the socket. This will further reduce the corrosive impact of salt and moisture. 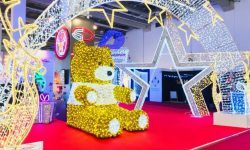 Quality, quality, quality…………...this can’t be stressed enough when it comes to the LED Christmas lights. There’s many reasons for this, but at the top of that list is the fact that better quality lights will reduce the amount of nuisance GFCI tripping. So what types of light sets should be avoided? Above all else, always remember the #1 rule when it comes to selecting a proper light set; NEVER buy two-piece Christmas lights! (stringer light sets with removable bulbs) Yes, you’ll save a little money upfront, but between quality issues, bulb failures and an increase in GFCI nuisance tripping, you’ll have nothing but headaches. Bottom line………only buy one-piece LED stringer sets. Stay away from the cheap, big box retail two-piece lights. Because the socket and bulb are not a single, molded unit, moisture tends to penetrate the bulb socket leading to significant GFCI issues. This is also a significant failure point within the light set, even if conditions are dry. Two-piece stringer light sets are not designed for quality Christmas lighting applications. On inexpensive light sets, in addition to the bulb issue, you’ll also find that the rectifier is another weak point. The rectifier contains important electronics for the operation of the light set, so keeping it out of the elements is critical. With high quality pro grade lights, the rectifier is double injected molded. Meaning that it is placed in the injection machine twice, creating a double layer seal. This makes it virtually impossible for moisture to get into the rectifier. Unfortunately, retail grade rectifiers are very susceptible to moisture intrusion. With any light set, the plug is always a weak point and is where a significant percentage of GFCI issues occur. If you’re installing 500 light sets, you have 500 connection points that moisture could penetrate. Two prong Edison plugs have been the standard for Christmas lights for many years, but even the tightest plug connection is not water tight. This brings us to our last, but definitely the most important, consideration when working to reduce GFCI tripping: Coaxial connect light sets. Coaxial connect stringer light sets, sometimes referred to as RY connect, was first introduced during the early days of LED Christmas lights. The sets used heavier 20-gauge wire instead of the standard 22-gauge. Set to set connections were made by screwing the threaded ends together and a rubber washer created a water tight seal. 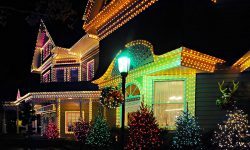 In 2007 and 2008, these sets were the standard when it came to commercial grade LED Christmas lighting. At that time, they were only available in 25 light sets and were very costly. But despite the short configurations and the cost, many of us in the higher end Christmas markets jumped on board and embraced these new light sets. We loved the coaxial connections. Initially we thought that GFCI issues would be reduced by 75% or more, but unfortunately, after a couple of seasons of using these lights, we found that we were overly optimistic, and the true reduction was closer to between 30% and 40%. However, despite the lower reduction percentages, we were still thrilled to have a light set that would help to reduce nuisance tripping. It was also a big advantage to have a light set that would not come unplugged, even in the harshest weather conditions. Add to this the advantage of the heavier 20-gauge wire and you have a light set that not only reduces GFCI issues, but also holds up better to demanding lighting applications. These days only about 25% of our light set sales to the general public and pro installers are coaxial connect, but for our own installations in Florida, 100% of what we install are coaxial sets. The GFCI reduction alone makes these a worthwhile choice. There is about a 15% price difference, but this is more than made up for between the GFCI improvement and the longer lifecycle of the light sets thanks to the thicker electrical wiring. If you’re in an area where temperatures are consistently below freezing during late November and December, GFCIs may not be much of an issue. But for homeowners and business owners in warmer areas of the country, GFCIs can range from moderately troublesome to a seriously troublesome daily problem. Before you install your first light set for the holiday season, decide what GFCI tripping reduction solutions would work best for your lighting and decorating program and then implement the plan. By taking a little extra time during the installation process and making sure as many GFCI trigger points have been addressed as possible, you should be able to eliminate up to 75% of the GFCI issues you typically have.